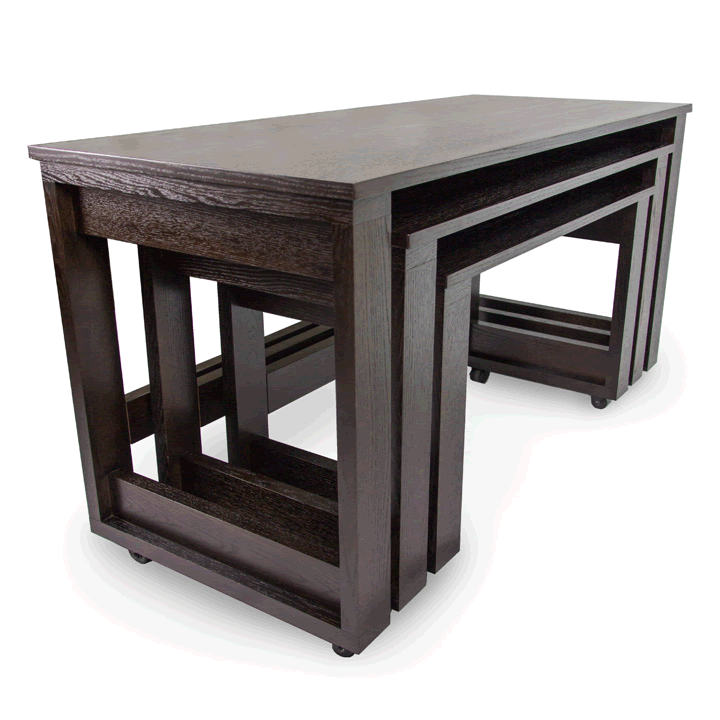 Enhance your guest experience with classic wood nesting tables. 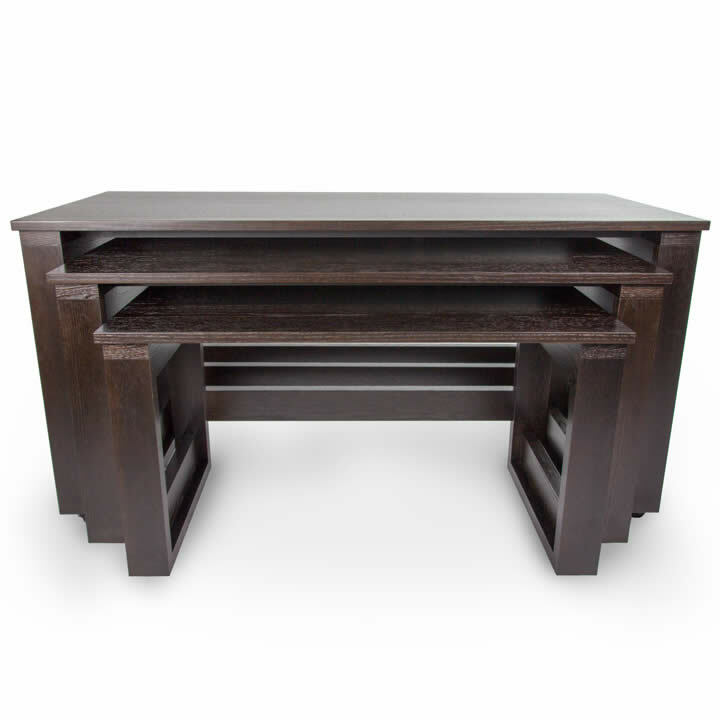 Designed to fit beautifully with the residential furniture look. 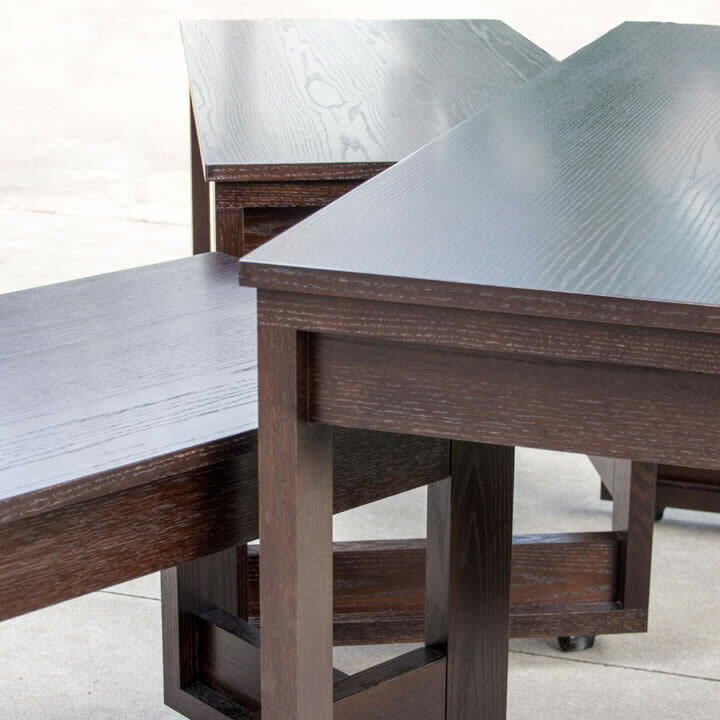 Arrange in traditional or unconventional layouts creating unique serving and action stations. 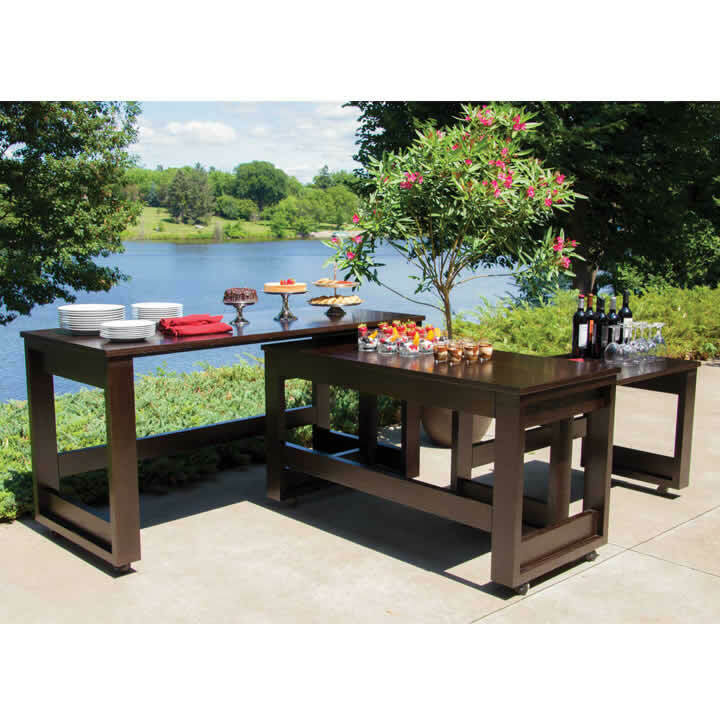 Hand-crafted from beautiful Red Oak or Maple wood veneers. A small table is perfect behind a sofa in the seating area of your lobby. 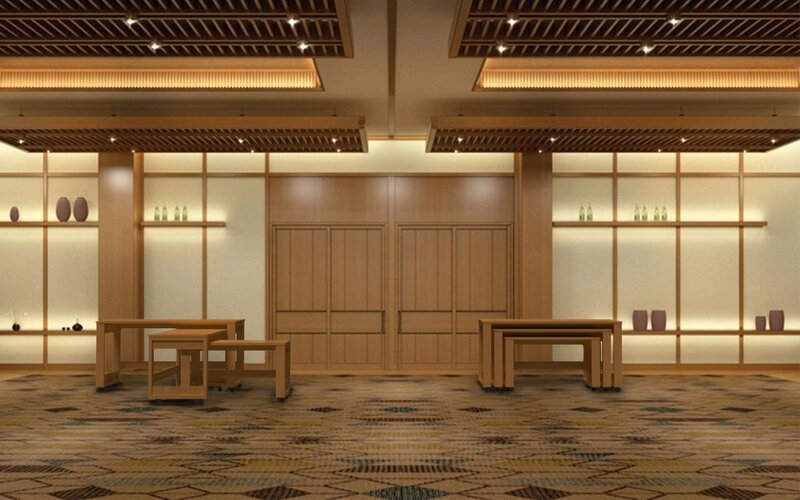 Or a large table as a check-in station for your event. 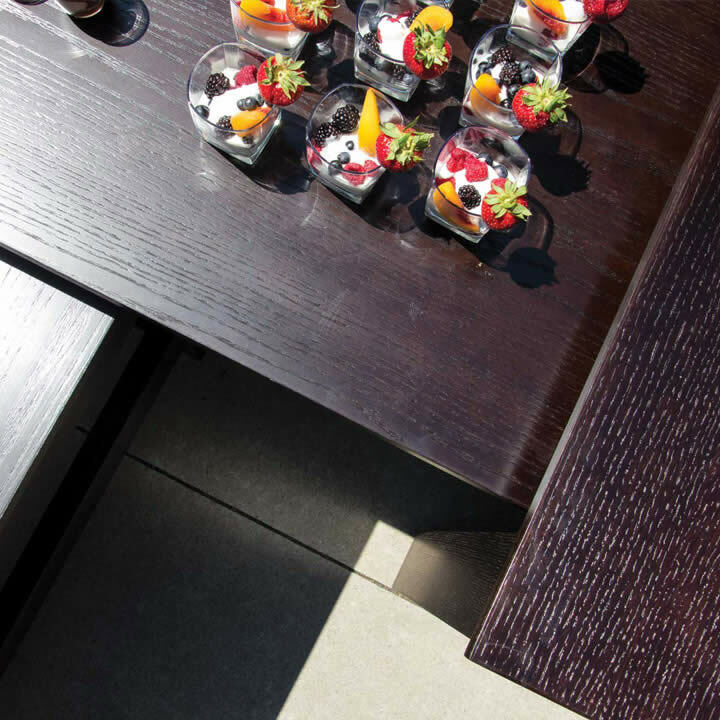 Try an assortment of sizes placed throughout your event space for various food or action stations. 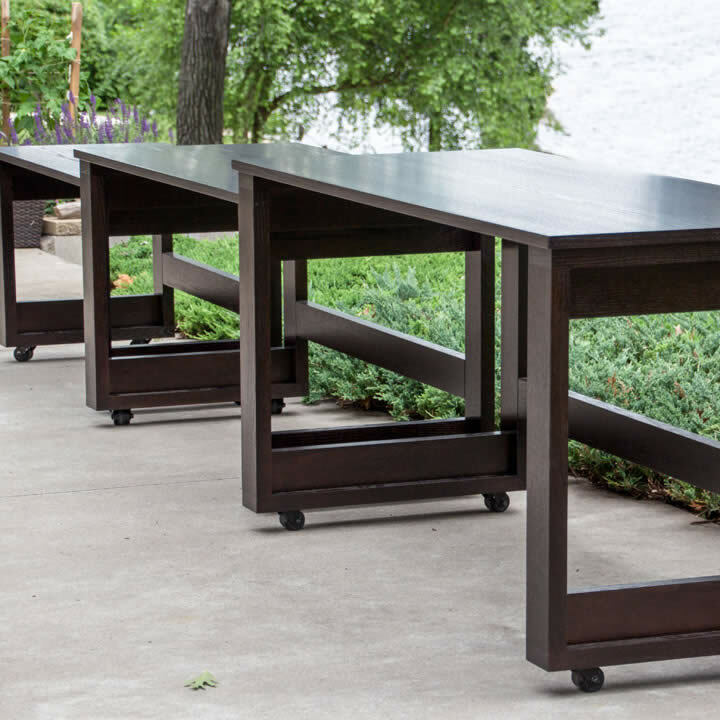 Or use them all together in a variety of nesting configurations to create stunning enhancements to your chef's creations. Choose from a wide selection of finishes to create just the right look. 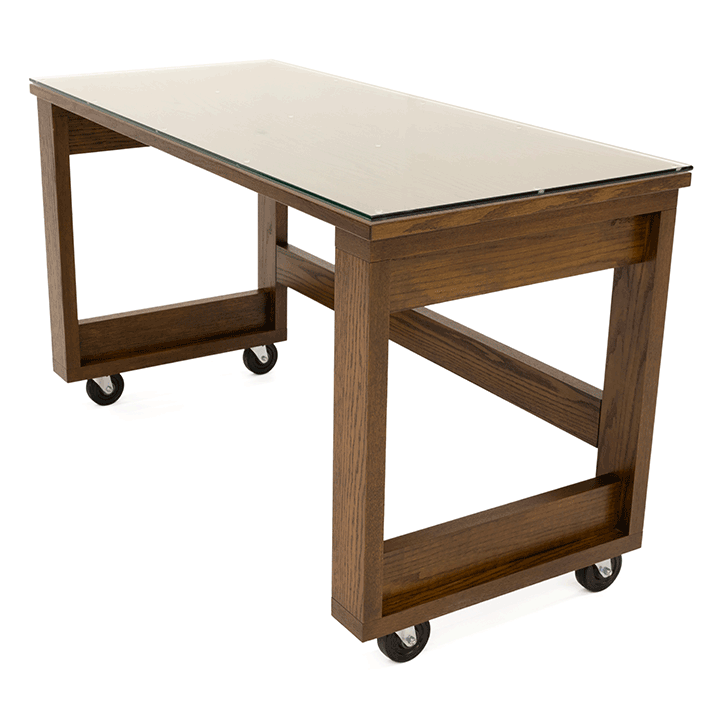 Available with an optional glass top overlay for extra protection while making clean up super easy.